GETTING ACQUAINTED TO YOUR NEW PRODUCT: Your new mattress may feel more firm than expected. Please give the mattress time to "break-in." You may also notice a "new product smell" at first. As with most new purchases, this is normal and will dissipate in a couple weeks. 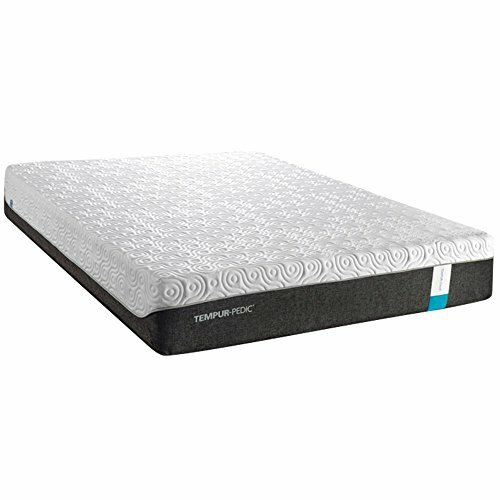 Power your sleep with the TEMPUR-Cloud Loft Mattress from Tempur-Pedic. This 11-inch soft mattress from Tempur-Pedic provides you with a comfortable sleep. Designed with TEMPUR-ES material in the Comfort Layer of the mattress to give you the softest feel. The Support Layer is created with our famous TEMPUR-Material to provide you with support while sleeping. Covered with a Premium Fabric Cover with an antimicrobial treatment to keep your mattress feeling fresh. Designed with the SmartClimate System, an innovative two-layer construction helps you stay comfortable during the night. Fibers in the top cover draw moisture away, while SmartClimate treatment in the inner cover provides cool to-the-touch comfort. Queen measures 80" L x 60" W x 11" H. The TEMPUR-Cloud Loft will deliver the great night sleep that you need.